Please be informed that Red Wing are introducing three types of new garments which shall be available starting from this autumn. We hereby enclose short specifications and pictures for your kind perusal (please double click on the attachment). For further information kindly come back to us. 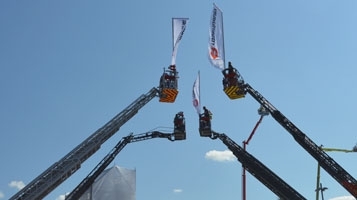 approximately 157,000 visitors from all corners of the world visited Hannover from June 8-13 to attend the most important trade fair in the firefighting industry and learn about the latest innovations and highlights in rescue and fire protection. Met with great anticipation, the presentation of the new PANTHER was an absolute highlight at Interschutz 2015. To the enthusiastic applause of the crowd, Rosenbauer once again made history with the introduction of the new PANTHER. 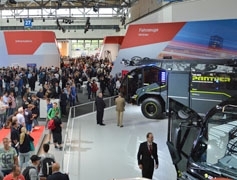 In addition to the new spectacular PANTHER, Rosenbauer presented numerous novelties, significant innovations, ground-breaking technologies, and individual solutions from all product areas on more than 5,000 m² of exhibition space. The many attractions and events made the trade fair an all-around successful experience. Keep reading for a review of the Interschutz and information about the new PANTHER. Six days of excitement, fun, and action – the best way to describe Rosenbauer's trade fair appearance at Interschutz 2015. Pioneering innovations from all product areas impressed trade show guests. Guided tours provided a wealth of information. Laser Challenges simulated the handling of innovative Rosenbauer firefighting equipment. And spectacular daily stunt shows provided a great deal of entertainment. You could hear a pin drop at the Rosenbauer exhibition booth. 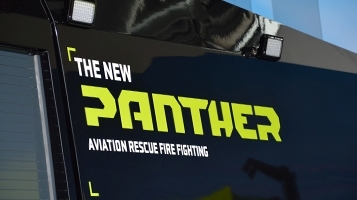 Visitors waited in anticipation for the moment that no firefighter or decision-maker in defensive fire protection and disaster control wanted to miss: the world premiere of the new PANTHER. And then there it was. It was revealed to the cheers of an enthusiastic crowd – the new, even faster, even more powerful, and safer PANTHER. 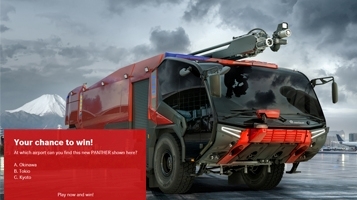 At www.rosenbauer-panther.com you can find all important details about the new PANTHER. In addition, you can discover everything about the creation and further development of the most successful aircraft rescue and firefighting (ARFF) vehicle in the world in eight exciting episodes. And for your entertainment: win great prizes with ever-changing sweepstakes. With innovative new products, Rosenbauer made an impressive showing at Interschutz 2015 with regard to emergency scenes of the future. Innovations in all areas create new opportunities for emergency crews with regard to mobility, protection, and performance. 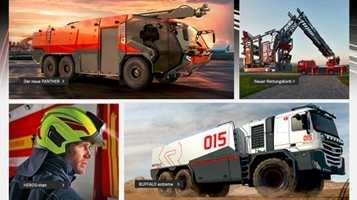 Discover novelties and innovations from Rosenbauer! Rosenbauer has created a media library for anyone who would like to review the trade fair again or who is seeking exclusive highlights of the trade show happenings covering all of the events and features. 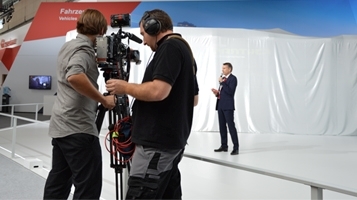 For six days, all product news, trade fair highlights and interesting stories were filmed, which have now been published in a media library. All clips can be viewed here at any time. Exhibition visitors were met with spectacular stunts and an action-packed performance at the demo area. 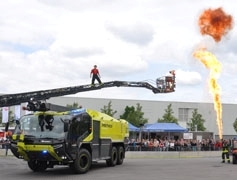 Approximately 3,000 visitors experienced live daily shows with the Rosenbauer firefighting vehicles. View here a composition of the best scenes. Do you know how many new PANTHER model cars are already in circulation? How many guided tours took place during the trade fair? Read the answers as well as additional exclusive background information about Interschutz 2015 here. 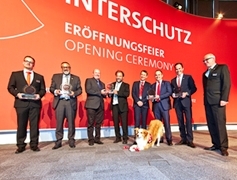 On June 8 at Interschutz, Rosenbauer was awarded the new "Safety made in Germany" quality seal by the German Fire Protection Association (GFPA), which is awarded for qualitatively outstanding products and services in the area of non-police emergency response. Be a fan - join us! “Mercanta Safety Equipment Catalogue, Edition 5” is now online. In case you need also a hard copy from our new catalogue please let us know. FireMax 3 is the new benchmark for a maximum degree of protection and wearing comfort. and at the same time the best possible heat resistance. New reflective striping enhances visibility. Get prepared for the Interschutz 2015 ! New Industrial Off-Road Fire Truck "TIGON"